Globally Harmonised System of Classification and Labelling of Chemicals (GHS) in Australia – What does this mean to you? What do you know about it? What do your organisations personnel know about it? Australia has adopted the third revised edition of the GHS under the Work Health and Safety Laws. Australia is currently within a 5 year transitional period that began on the 1st January 2012 and will end on the 31st of December 2016. Well, most of Australia! What do you mean most of Australia I hear you asking? Yes I know, this was meant to be for all of Australia, one nation, one set of rules. Well yes, that was the concept originally, but no that is not the case. Not all States have taken on the Governments suggestion to implement GHS, 2 states (WA and Victoria) as of yet have no plan to enforce the implementation of GHS before the 2017 cut off period. Even the ACT has a different proposed date of implementation and that being the 1st July 2017. It is important to note thought that despite Western Australia, Victoria and the ACT not implementing in full GHS as of 1st January 2017, interstate trade will require that all SDS and Labelling complies with GHS. 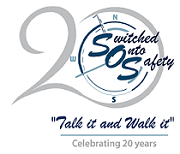 Therefore, in WA, Victoria and ACT manufacturers and distributors can either use the GHS system for classification or the instated NOHSC (National Occupational Health and Safety Commission’s Approved Criteria for Classifying Hazardous Substances). Changes that will be seen (Employer / Persons conducting Businesses and Workers perspective) and must be implemented in all other states / territories by 1st January 2017 are identified in the table below. Reviewing of hazardous state on GHS compliant SDS’s. This may be different to the previous non compliant GHS SDS’s. This in turn can change whether a Risk Assessment now needs to be conducted. All personnel involved with the use of chemicals need to be made aware of the changes and how it will affect them e.g. 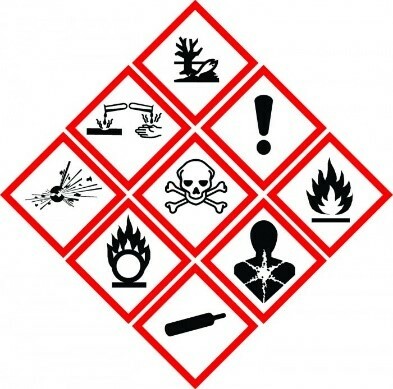 what do the pictograms reflect, what are the hazard and precautionary statements and what do they mean etc. If you need any assistance with this or would like to discuss further, we would love to hear from you.